You would think more neurons = smarter, right? Not necessarily. 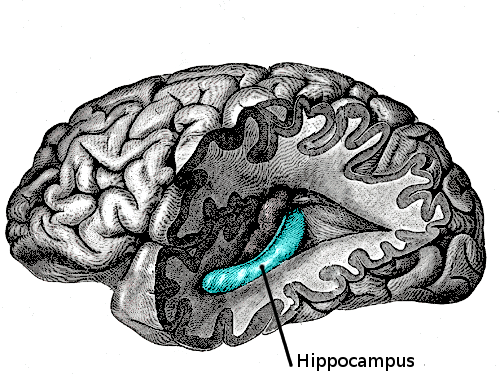 The hippocampus is the area of the brain which transforms short term memory into long term memory through a process called consolidation. Throughout our life new brain cells are being made in the hippocampus. These new cells will be used to make future memories. But remembering old memories relies on the strength of connections between old neurons, which can be disrupted by the arrival of new neurons. Infants are constantly making new neurons. A side effect of this is that they forget most memories – this is called ‘infant amnesia’. It is why we can’t remember anything from our first year of life. This happens in many non-human animals including primates and rodents. When the ability to make new neurons is inhibited in baby mice (either by genetics or by drugs), they are better at remembering. Adults also make new neurons in the hippocampus, just at a much lower level than infants. What is really cool is that animals that exercise make more neurons than animals that don’t. Exercise also increases remodelling of the brain circuitry. It changes connections between neurons. Remember that it is the strength of connections between neurons which are responsible for maintaining memories. So exercise in adult mice can make them forget newly formed memories. This is more obvious with ‘weaker’ memories of things which have only been experienced a few times. Even exercised mice were unlikely to forget a memory of something which they had experienced many times. Mice that were genetically engineered to make more neurons without exercising were also more forgetful of a new memory than control mice. So it is the formation of new neurons, not the exercise per se, which caused the forgetfulness. So does all this mean you should stop exercising. Of course not. For one thing this study only looked at memories which are made in the hippocampus: memories of places or events. Secondly, stronger memories were harder to forget. So if you want to remember something all you have to do it try to remember it. The more times you activate that neuronal connection, the stronger it will become and in turn the stronger that memory will be. Yet I wonder, is memory the root of intelligence? That must explain why I am so dumb.